I’ve been working with fantasy author Alex Bledsoe, and the result is something beautiful. Hey, all of you coloring book fans! I just made a beautiful book of pictures for you to color, based on the fantasy novels of Alex Bledsoe. 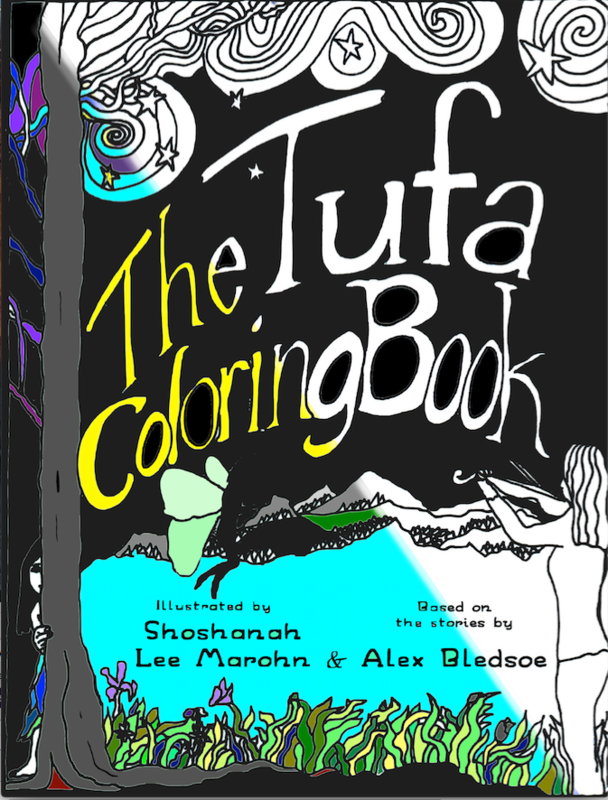 This is the official coloring book of the Tufa, folks! Based on the four Tufa novels and a short story. For those not reading outstanding fantasy fiction, it is simply a book of beautiful pictures of forests and fairies and magic happening in very air itself. For those who are Alex Bledsoe fiction fans, you may just have died and gone to Cloud County. 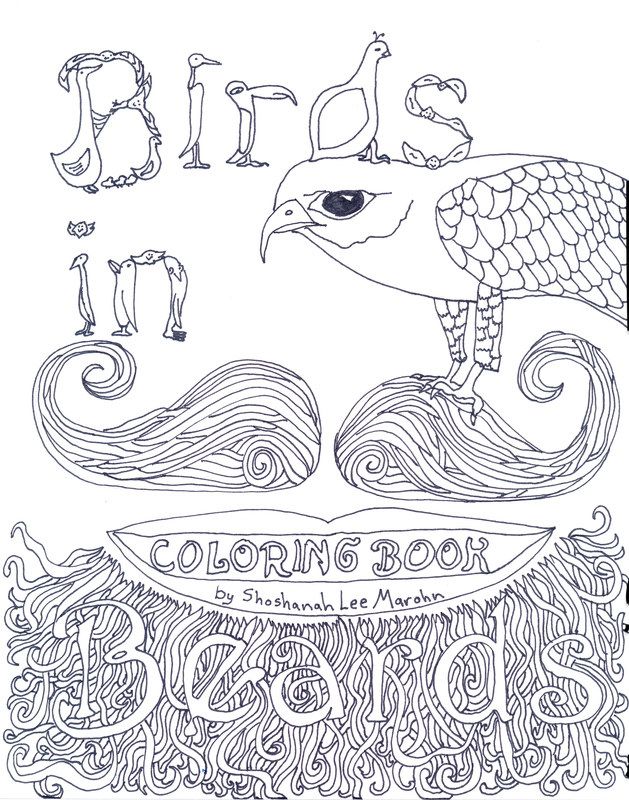 Birds in Beards Coloring Book: A love story. So begins a ridiculous saga, a love story which includes 30+ portraits of men with beards and the birds who love them. 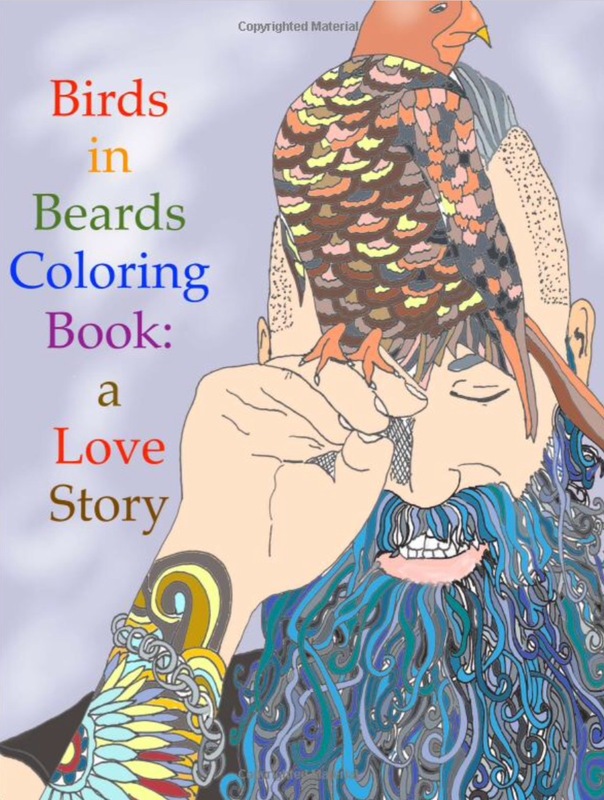 Color in the beard strands (which are like spaghetti in many of the pictures) and the intricate feathers of the many different birds, or just enjoy the silly rhymes about a love gone wrong, due to overzealous bird care. This book appeals to all ages, though the coloring is probably too detailed for young children.